Air conditioners come on earlier in Florida than in most parts of the country. Although summer will have even hotter temperatures and higher humidity, spring nonetheless can tax our ACs and create problems before the big heat arrives. Coming out of its winter’s rest can also pose difficulties for an air conditioning system. Here are some of the more common AC problems we encounter during the spring on our repair visits. Make sure you call in South Miami, FL air conditioning specialists whenever you encounter a springtime slowdown in your AC, no matter what you think is wrong with it. We have NATE-certified technicians on staff who can deliver you top quality repair work. 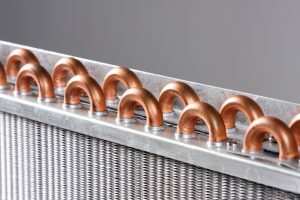 Leaking refrigerant: If you see ice along the indoor coils, notice a drop in cooling power, or hear a strange hissing sound coming from the air conditioner’s cabinet, then you may have a problem with refrigerant leaking from the system. This sometimes happens because of formicary corrosion that developed on the system during the winter and has created minute holes that allow refrigerant to escape. Call a repair technician to locate the leaks and seal them, and then recharge the refrigerant to its proper level. Dust and dirt on the motors: If the air conditioner did not have its air filter changed at the beginning of spring (it should be changed every month during air conditioning season), then dirt and dust contamination may have entered the cabinet and affected the motors. This will make the motors work harder, and the strain can lead to them burning out and requiring replacement. Call for repairs the moment you hear screeching and grinding noises from inside the cabinet, or an acrid smell coming from the vents, as this can indicate a motor on the verge of failing. “Hard starting”: If the air conditioner seems to struggle when it comes on, then it’s probably hard-starting and draining energy. Hard starting can occur because of a number of different issues, although the most common is a failing start capacitor, the device that transmits voltage to the compressor motor to start it up. If the capacitor fails entirely, the compressor motor won’t be able to come on. Repair technicians can swap out the old capacitor for a new one—but make sure you call for assistance as soon as you notice the hard starting. 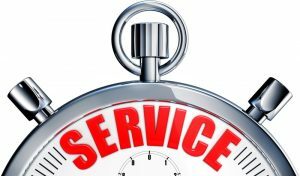 Most AC repairs are not difficult for professionals and the work will not require long to complete…as long as you acted quickly to summon repairs. The longer you wait, the worse the repair will grow, and it will lead to other repair needs as well. Call on Air on Demand for professional air conditioning service in South Miami, FL to help you take care of all the “spring fever” problems in your air conditioning. Give us a call today and schedule your next service appointment.